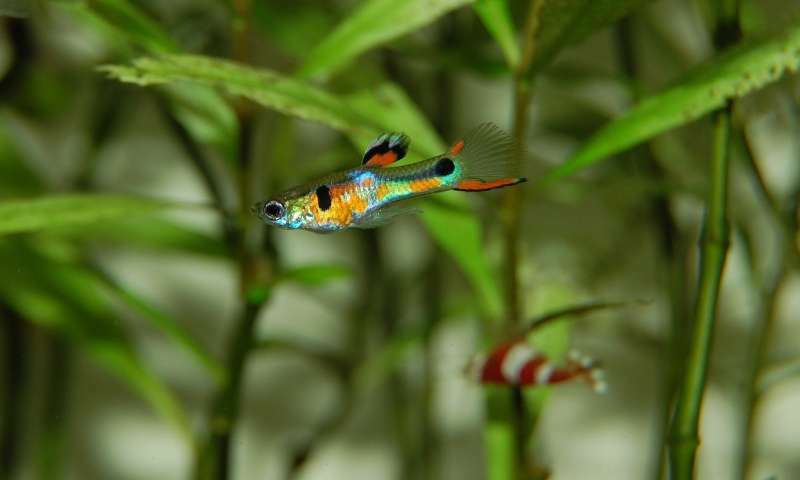 In a study published in the Proceedings of the Royal Society London B, UWA researchers Dr. Clelia Gasparini and Associate Professor Jon Evans discovered that while female guppy fish mate with several males, like many other species, they also exercise great control over which males will ultimately father their offspring. The researchers compared the paternity success of pairs of rival males (how many eggs each male fertilized compared to the other one) in two contexts – the first when the female was allowed to mate naturally with two different males, and the second when the female did not mate at all, but instead sperm from the same two males were artificially inseminated. Study co-author Associate Professor Evans, from the Centre for Evolutionary Biology at UWA's School of Biological Sciences, said they found an extraordinary difference between the two scenarios. "When females retained full control over the mating, paternity was strongly biased towards one of the two males, but when they did not control matings, paternity was more equally shared between both males," Associate Professor Evans said. The researchers also found that when the female was allowed to mate, the preferred male was the one that fathered most of her offspring. "This demonstrates that females receive cues from males that they use to decide which male will fertilise their eggs," Associate Professor Evans said. The way in which females sort the 'best' sperm from the 'worst' sperm was not the focus of the study, but the researchers suspect that females somehow control how many sperm are retained for fertilisation. The study, which was funded by an Australian Research Council Discovery Early Career Researcher Award to Dr. Gasparini, provides evidence that females are far from passive when it comes to determining the outcome of male competition.